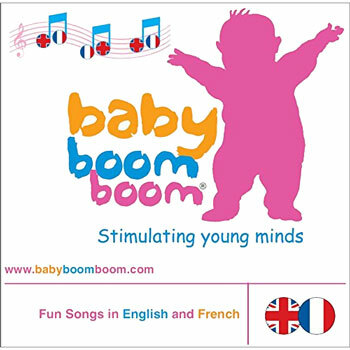 Designed by mums for babies, toddlers and pre-schoolers, babyboomboom ® - Fun Songs in English and French is a musical, fun and participative way to familiarise your child with a second language. The CD features nursery rhymes and songs in English and French. Each verse of the song or rhyme is first sung or spoken in English and then is repeated in French. Please note that in order to fit the words to the music, sometimes the French verses are not an exact word-for-word translation of the English. 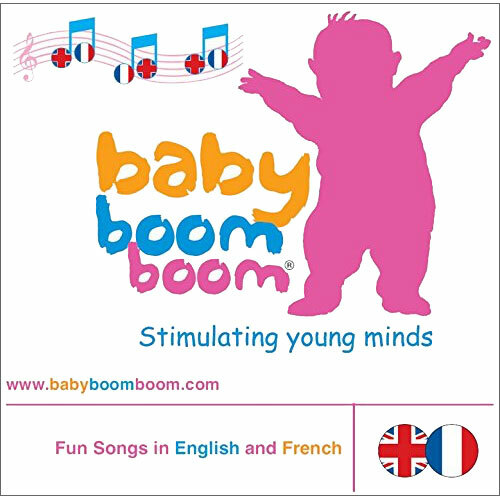 babyboomboom ® - Fun Songs in English and French is suitable for use by a parent and child with no previous knowledge of French. The songs aren't necessarily intended to teach specific French words and phrases but more to introduce young children to the sounds of another language. My little boy adores all the songs on the CD and has started to sing some in french at 22 months old. An excellent buy - is already proving very popular with my groups!